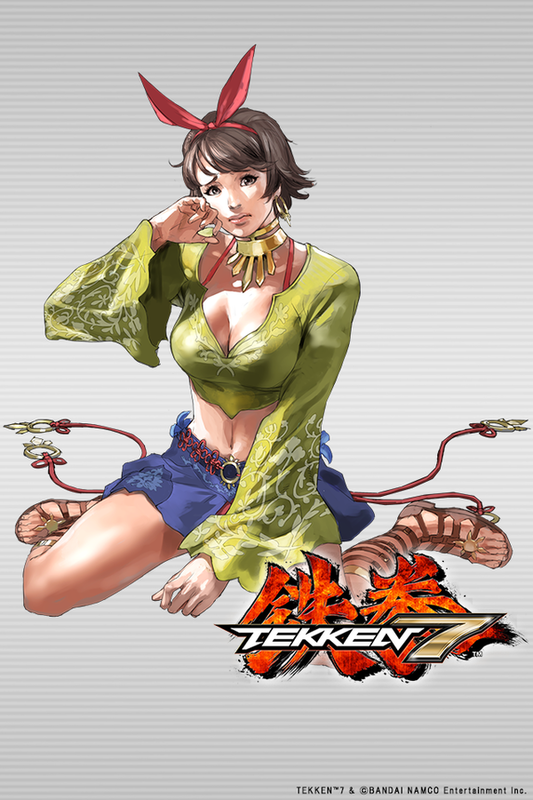 Josie Rizal hails from the Philippines and uses Eskrima & Kickboxing as her fighting styles (reminiscent of a fighting style called Yaw Yan). 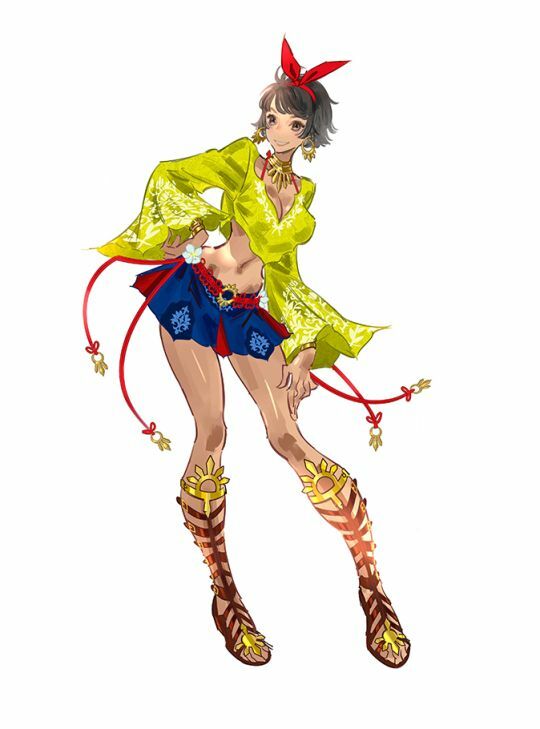 Several aspects of her outfit take inspiration from the National Flag of The Phillipines. 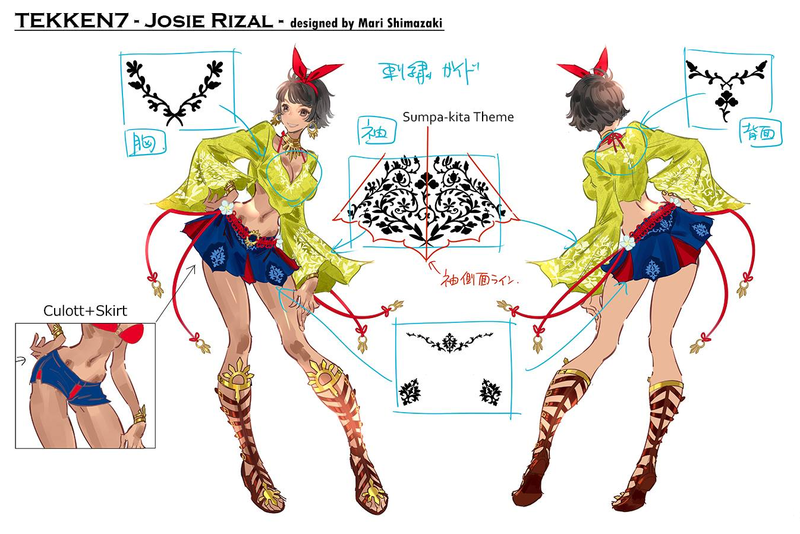 Josie is a fairly simple, yet aesthetically pleasing design overall. 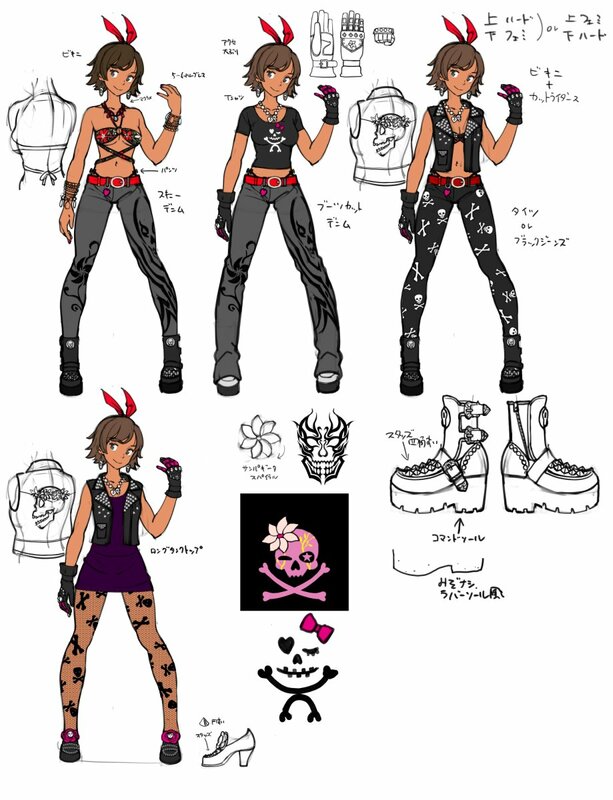 Cleverly, her outfit is themed around the Phillipines flag... in a similar way to Tiffany from Rival Schools (as her outfit is based on the U.S.A flag). 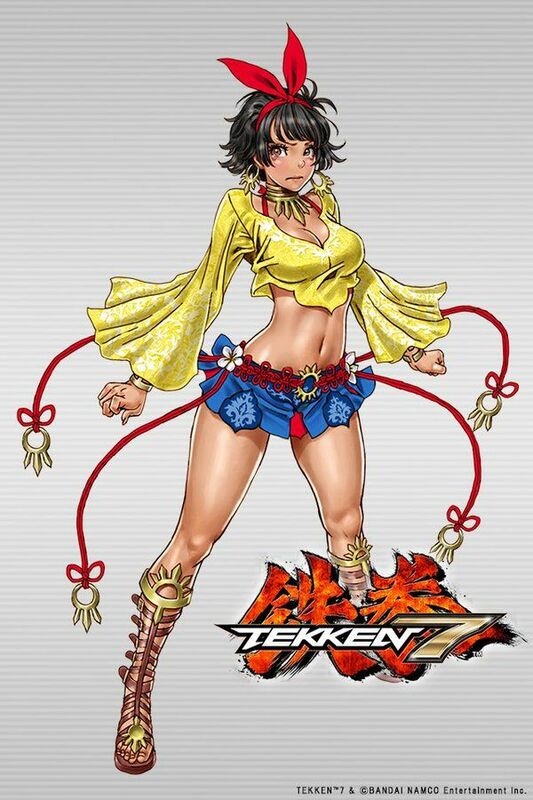 With Josie seemingly taking the place of Bruce in TEKKEN 7, she understandably debuted with some negative "heat,"you might say. 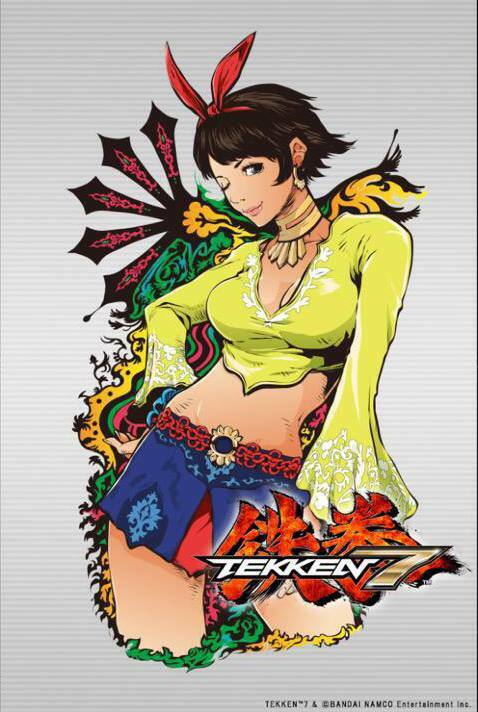 Once you give Josie a chance, she's got some unique, fluid fighting techniques and definitely hits hard. 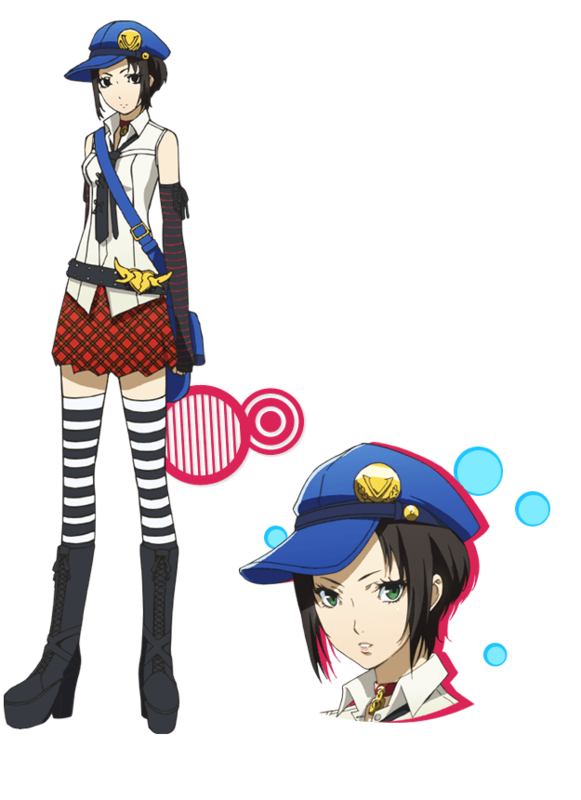 I think her default stand could be better though. 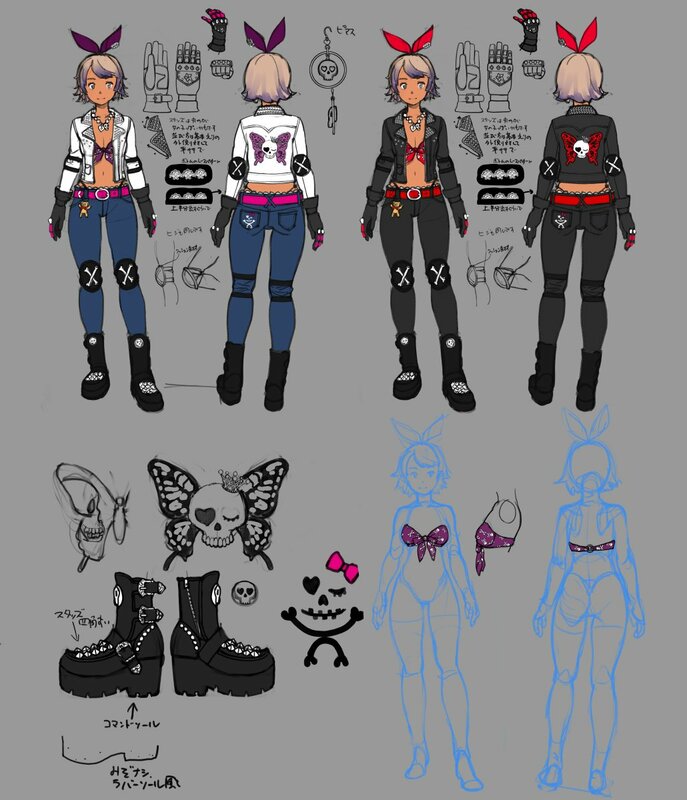 Her "slightly unconfident" personality is catchy and pretty unique, although it should be developed further and fleshed out. 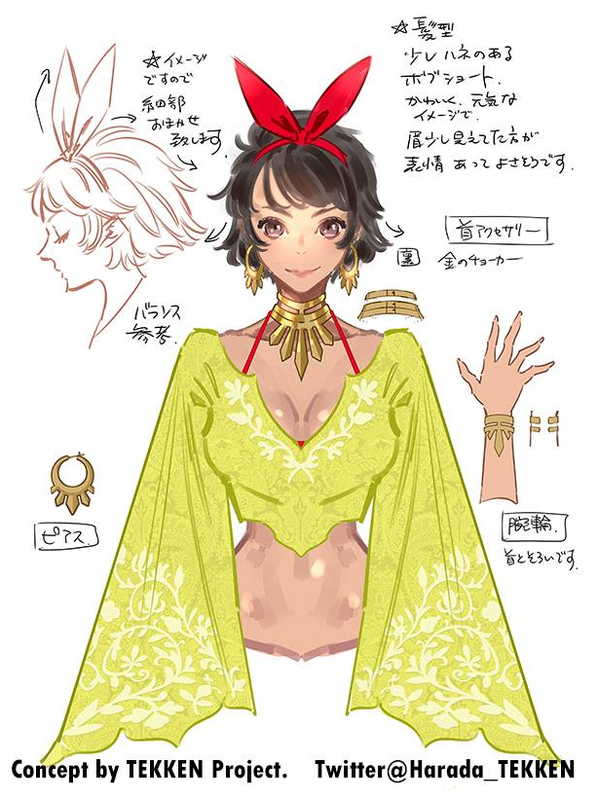 Visually, she's nice to look at and has a unique physique. Them long legs tho. ^o^ She knows how to use them too. 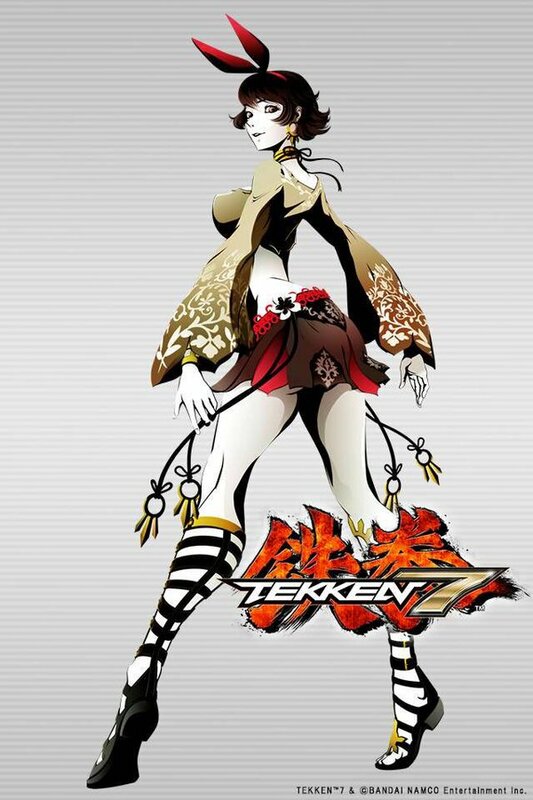 Miss Rizal doesn't mess around with her kicks, and her backsway dodge is pretty cool. 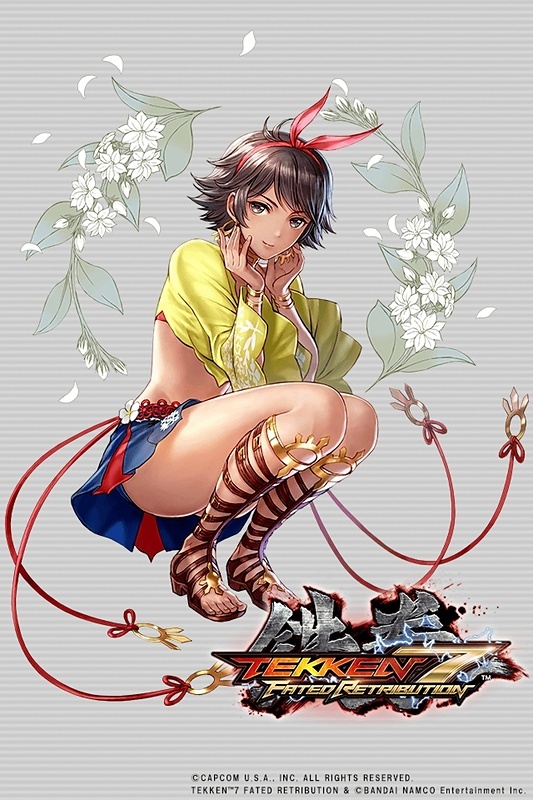 She may not hold a candle to the older generation of TEKKEN designs, but she manages to fit into TEKKEN.